Newsflash: litigation is expensive. Hiring a lawyer is an expensive undertaking. Most lawyers at my experience level charge $350 to $450 per hour! That’s why it’s important to approach a lawyer-client relationship with efficiency in mind. When you are in the midst of a legal dispute, hiring counsel is absolutely necessary. But how you interact with that lawyer will often dictate the size of your bill. First, recognize that your lawyer is a legal advisor, sometimes a therapist, but first and foremost an advisor of the law – try to keep your discussion focused on law or strategy. Second, take time to organize your thoughts and questions before you call your lawyer – prepare notes and have a list of questions ready. Third, ask questions about the anticipated expense and your bill – a healthy lawyer-client relationship always involves complete transparency on the legal expense involved. Thanks for listening; stay tuned for more quick videos of legal insights that may apply to you or someone you know. Questions about this or any family law matter? Please contact me at aallman@offitkurman.com. Mr. Allman focuses his practice in the areas of family law and civil litigation. Mr. Allman has been involved in handling all aspects of domestic or family law cases, including divorce, property distribution, child custody, child support and alimony, as well as a broad range of complex commercial and civil litigation. Mr. Allman was selected as a 2016-2017 Maryland Super Lawyer and was a Maryland Rising Star from 2010-2015. Super Lawyers is a rating service of outstanding lawyers from more than 70 practice areas who have attained a high degree of peer recognition and professional achievement. 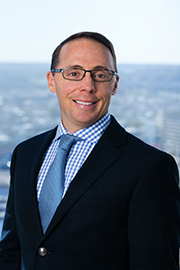 Mr. Allman has experience handling and trying cases before State and Federal Courts in Maryland and Virginia, U.S. Bankruptcy Court, and handling appeals before the Maryland Court of Special Appeals and Court of Appeals, U.S. District Court for the District of Maryland, and the U.S. Court of Appeals for the Fourth Circuit. Mr. Allman also has experience handling broker-dealer arbitrations before the National Association of Securities Dealers, Inc. Mr. Allman has been involved in multi-million dollar commercial litigation disputes, and has tried cases of significant dollar value to a successful completion.